How to host a spice-tasting party! On Sunday, December 3, the gentles of the Dominion of Myrkfaelinn convened to sample the results of our second redaction challenge. I challenged our cooks to mix a blend of spices to create a Powder Forte and a Powder Fine — two frequently occurring additions to many a medieval recipe. After an initial flurry of “where can I get galingale?” and “can I swap some grains of paradise for long pepper?”, we made a group spice order and set to blending. 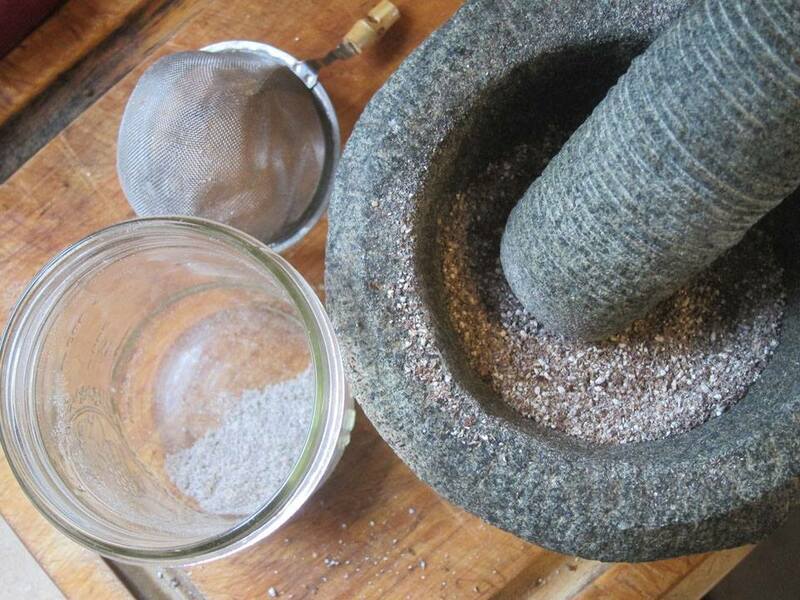 Some folks used modern grinders, while others employed mortar and pestle, sifted the results through a sieve, then ground the remainder — over and over until the spice reached a consistent texture. It turns out that online suggestions for “how to host a spice tasting party” aren’t very helpful, and I found myself in the position of creating a template for doing so. To sample and compare the dozen spice mixtures, we used sandwich picks dipped in canola oil, then dipped in the spice mixture. I made gluten-free and oyster crackers available to cleanse the palate between tastings, though at least one individual dipped the cracker and then tasted the spice on the crackers. The strong powders and fine powders were arranged together; some folks tried the fines then the fortes, others in reverse. It didn’t seem to make a difference to the tasting which spice combination we tasted first, but it was very nice to be able to sample fortes and fines side-by-side. Provide water for palate cleansing. Offer a mild bread, chicken cubes, and warm elbow pasta to carry spice on — some folks though it odd to be eating spices plain, and this would overcome that feeling (plus add some different flavor to think about how the mixture would “work” with different base ingredients). Find sampling dishes that are flat, without sharp corners and crevices, so the spice doesn’t get lodged into unreachable corners. 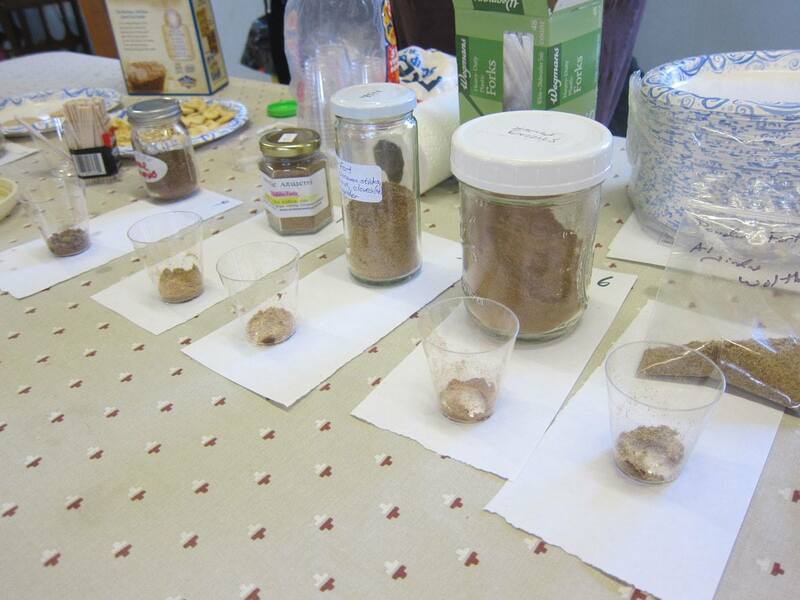 Once again, we had many folks participate, and we all look forward to using their mixtures in future challenges!